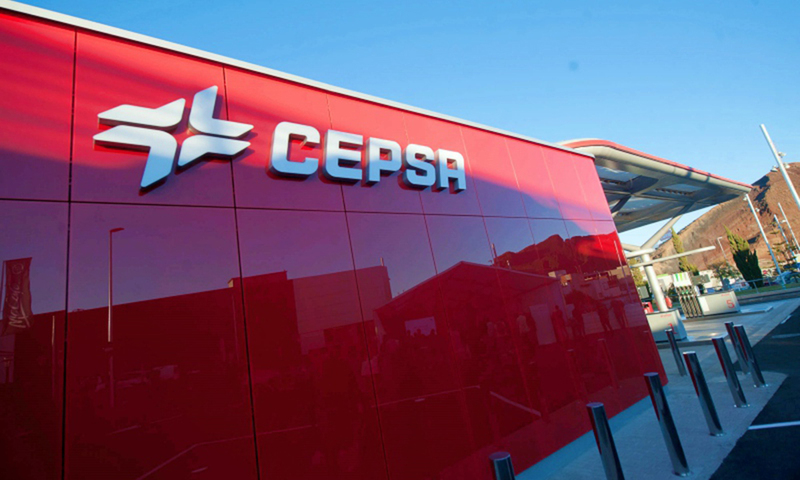 Cepsa opens their first service station in Tenerife, choosing the elegant GammaStone Glass AIR façade solution. 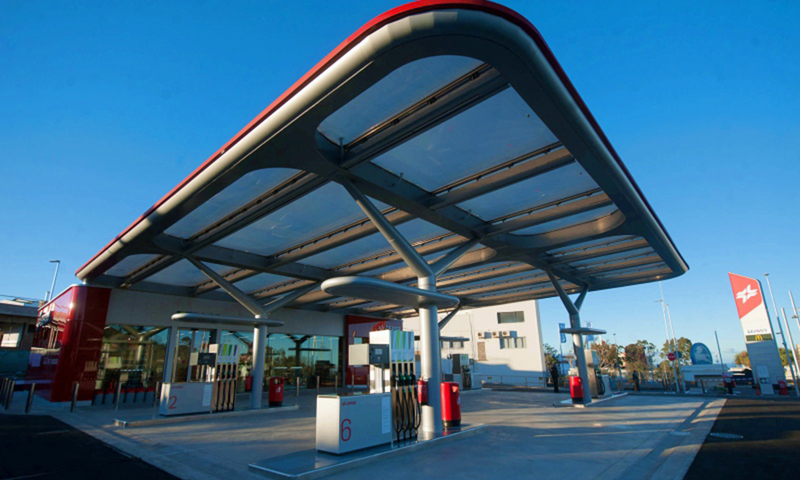 The use of large ultralight panels (tempered glass on the surface) with red “traffic-light” color give an innovative appearance and match perfectly with the environmental friendly approach of this modern station project. 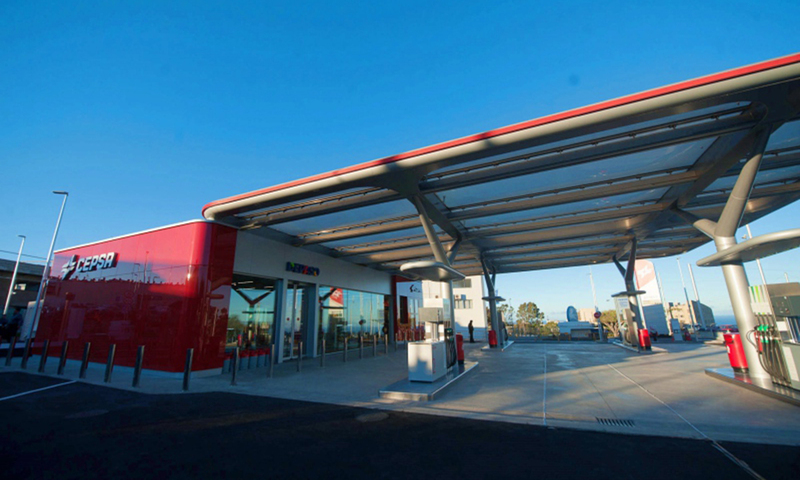 This is the first service station to have a smart building implementing a brand new construction model. 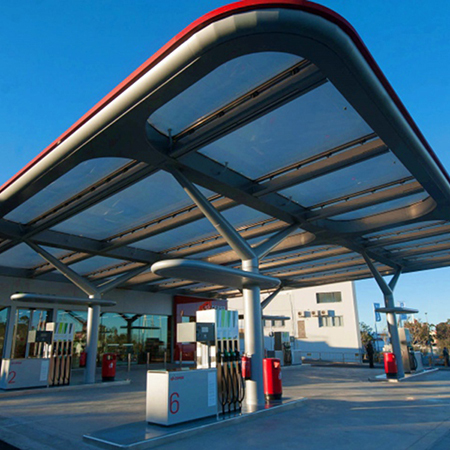 The building incorporates the most advanced technologies in terms of energy saving. GammaStone Glass AIR ventilated façade is composed by a tempered glass that causes a significant reduction of heat dispersion. Even if the majority of the panels are simple rectangular shapes, this project is strongly characterized by the realization of curved glass corners (with a radius of curvature of 450 mm). This is the perfect solution to keep a graceful continuity in the edges of the building from side to side. In addition to the aesthetic value of the curved corner, the project includes panels with holes for fixing the signals and slotted panels for the insertion of the show-windows, placed successfully in critical points. 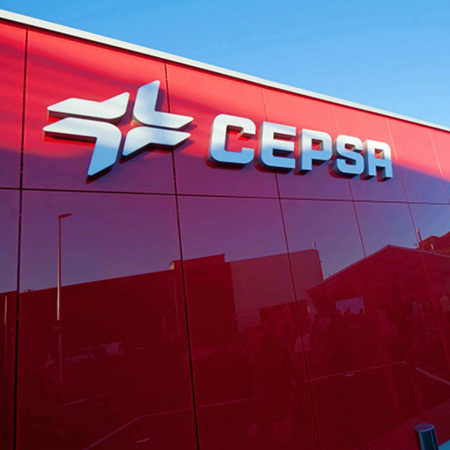 Moreover, the choice of using the same material for the cladding of the access doors, made them blend completely into the façade, enhancing the material continuity between the various surfaces. The result is a visual effect of absolute essentiality and linearity. The building, moreover, is located on a slightly steep territory and each panel has been built with a special out-of-square shape, following at the base this precise slope. A technically excellent result! GammaStone has overcome another important challenge, taking advantage of all its technical expertise and its unparalleled professionalism to satisfy designers’ demands and clients’ needs. 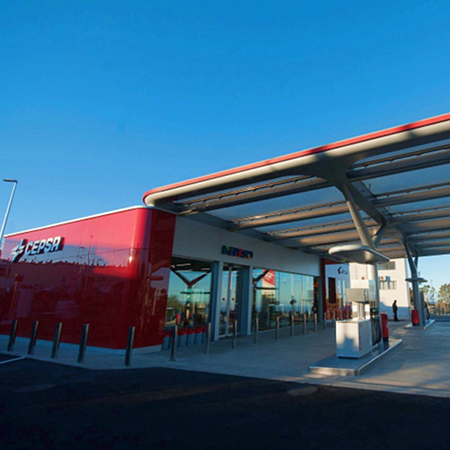 GammaStone faced this project obtaining an impeccable result, beyond any expectation.